There’s simply no denying the importance of safe, functional electrics for any home or business. When the electrics fail, day to day activities become virtually impossible to conduct almost immediately, leading to great inconvenience and frustration. Even more worryingly, faulty electrics can lead to actively dangerous situations which can jeopardise the health and safety of you and/or your friends, family and colleagues. So it’s naturally absolutely essential that a building’s electrics are kept in top condition. 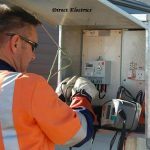 Fortunately, when it comes to hiring a quality residential or commercial electrician, Canning Vale customers can always depend on the reputable and reliable team here at Direct Electrics. 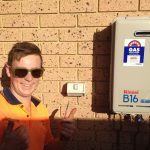 Since we were established over 25 years ago, we’ve built an enviable reputation in the electrical industry of Western Australia for providing superior levels of customer service, highly professional standards of workmanship and consistently competitive prices. All of this is possible because we absolutely never cut corners when it comes to our standards. All of our staff are trained in-house during apprenticeships managed by our experienced professionals, and we always ensure we turn up to a job equipped with the very best materials available and modern, state of the art equipment. 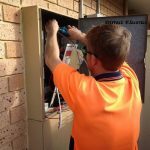 Canning Vale home or business owners who require electrical installation, maintenance or repair work to be conducted on their premises should always choose to work with a reputable professional electrician. 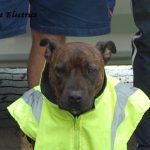 When you choose to attempt electrical work yourself, you’re putting yourself and those around you in a potentially dangerous situation – and, because of Australia’s strict laws regarding electrical certification, you’re ensuring that your property’s electrics won’t be fully, officially certified. 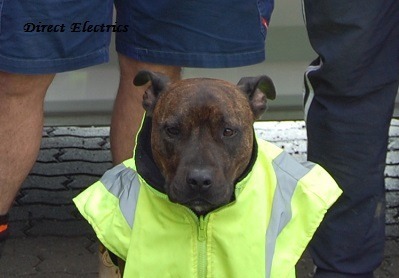 But when you choose to hire a commercial or residential electrician in Canning Vale, you’re providing yourself with access to a knowledgeable and experienced professional who will be able to conduct the work in a way that is safe, effective and compliant with all regulations. This way, you can rest assured that you’ll have permanently functional – and entirely safe – electrical systems on your property. And, should anything go wrong for whatever reason, you have the peace of mind that comes with knowing that your hired tradesperson was fully licensed and insured, and that you’re therefore protected against any losses or damages. You should also always keep in mind the fact that, under the law of Western Australia, you can’t sell your property unless it has been professionally fitted with a sufficient number of smoke alarms and safety switches, so prospective sellers can save themselves a lot of hassle further down the line if they choose to have an expert look over their property before they list it. If you’re considering having any electrical work whatsoever conducted on your property, it’s vital that you hire a registered, experienced expert. Here at Direct Electrics, we have all the knowledge, equipment and expertise required to perform the job to the highest possible standard at the best possible price. Simply get in touch with a member of the friendly team in order to find out more information about our range of services, or to arrange a visit from one of our experienced tradespeople.